NATO holds a huge military exercise in central Norway. That is a bridge too close to the Arctic for Moscow’s liking. In her opening address to Arctic Circle, a big conference that wrapped up in Reykjavík, Iceland, on Sunday, Katrín Jakobsdóttir, the PM of the host country, reminded attendees of the Arctic’s history of militarization. As a reminder that this period is not over, she then proceeded to call for the region to be demilitarized. Pointing out that a number of countries (not just those with Arctic territory) see the region in strategic terms, was hardly necessary. Two Canadian naval vessels and one from Norway were at anchor in the harbor adjacent to the building where she delivered her address. Further up the coast, the contours of the superstructure of an American warship could be made out. A French vessel was also visible in one of the ports outside the capital. And, had any of the attendees caught a glimpse of the front page of Thursday’s edition of Morgunblaðið, a daily newspaper, it would not have taken them long to figure out that the image pictured U.S. Marines training at Keflavík, a former American naval base. The fact that much will need changing before Jakobsdóttir’s second comment can come to pass is underscored by the purpose for the forces’ convergence on Iceland this weekend. They were en route to Trident Juncture, a NATO-led exercise, being held in sub-Arctic central and eastern Norway starting on October 25. According to the Norwegian hosts, Trident Juncture will be the largest exercise held there since the Cold War years of the 1980s. NATO itself reckons that once the 50,000 or so troops, 10,000 vehicles, 150 aircraft (although more than half of these will be aboard a single ship: the USS Harry S Truman, an aircraft carrier) and 60 vessels from 30 countries, it will be its biggest gathering of forces since 2002. The stated point of the gathering is two-fold. Firstly, it will allow NATO to test its ability to respond to an attack in the difficult sort of terrain that Norway presents. Secondly, it will give Norway experience facilitating the deployment of the huge number of allied troops that would be needed to repel an the westward advance of an attacking adversary. The third goal, is unstated, but hard to miss. Norway borders three countries, Finland, Sweden and Russia. None of them are NATO members, but two share such a high level of integration with Norway that the idea of a political federation amongst them is occasionally mooted. 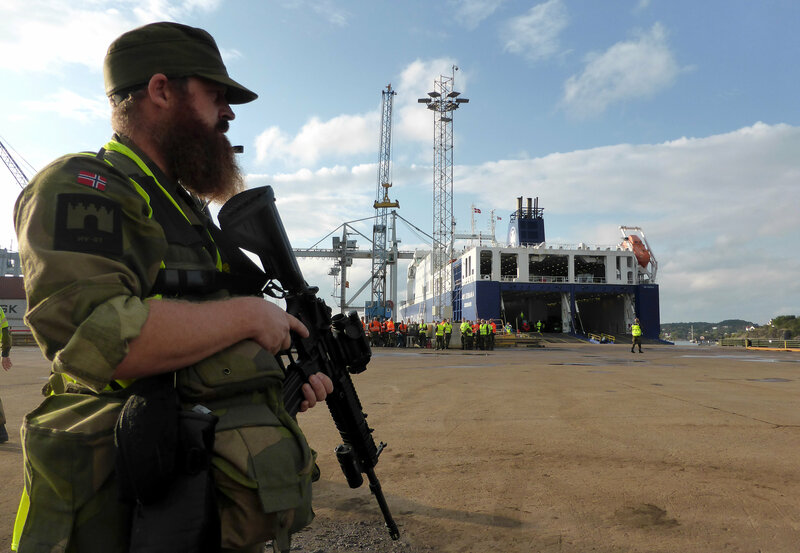 Despite not being NATO members, Sweden and Finland will be taking part in the exercise. Moscow seems indeed to have taken the hint. “We have to ask ourselves, then, who could potentially threaten NATO in the northwest. So all this talk from NATO about Russia not being the target of Trident Juncture doesn’t hold water,” Valery Zaparenko, a former lieutenant general who served as deputy chief of Russia’s general staff, told RT, a Kremlin mouthpiece. Force projection is in the eye of the country on the border. Amongst climate scientists who keep an eye on the Arctic, there is widespread consensus about two things: Global warming is the most pressing threat to the region, and most of the carbon pollution that causes the climate-changing temperature increases happens outside the Arctic. It makes sense, then, that when cabinet-level officials from 26 countries and six indigenous groups gather on October 25-26 to discuss the changes facing the region, they will be doing so in Berlin, Germany. 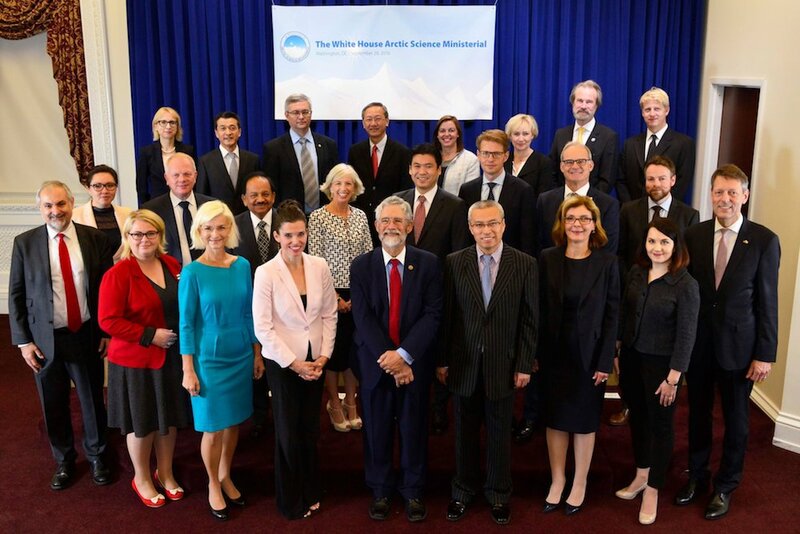 Neither the first, nor this, the second, Arctic Science Ministerial are Arctic Council events, though both meetings have been organied by the country chairing the council at the time they are held. As with this week’s meeting, the 2016 meeting, hosted by the White House, was held far from the region, in Washington, D.C.
Also like that meeting, this week’s gathering is expected to produce a statement that will serve as a plan of action until the next time a ministerial is convened. Giving the message a shorter distance to travel before it reaches the right audience addresses, if unintentionally, one of the recent criticisms of the council: Irrespective of the quality of its work, it rarely gets the global distribution needed for it to make an impression on scientists and others who do not keep a close eye on region. Taking the show on the road ensures that when the ice melts at the poles, the poles (and everyone else) can hear it. And, in London, the Marine Environment Protection Committee gathers for its next semi-annual meeting on October 22-26 to come up with the guidelines for a process that may end with a ban that prevents ships from using and transporting heavy fuel oil, a highly polluting marine fuel, while travelling through the Arctic. 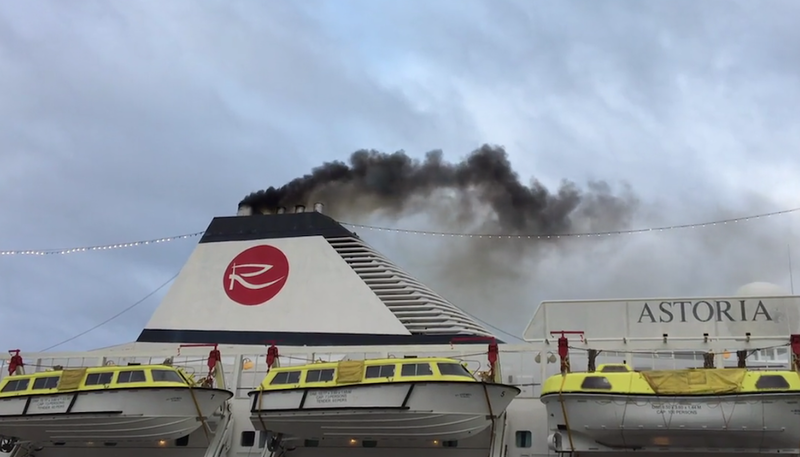 MEPC, a part of the IMO, the UN organisation dealing with shipping, has agreed to ban HFO from the Arctic, but, before it does so, it would like its Pollution Prevention and Response sub-committee to look at the impacts of doing so. During this week’s meeting, members of MEPC will seek to draw up the guidelines that will allow the PPP to begin its work. Currently, HFO is banned in the Antarctic. The Polar Code, a set of regulations for ensuring safe shipping, recommends, but does not mandate, that the Arctic be granted the same protection. No date for a potential ban to come into effect has been set. Advocates are pulling for 2021, the earliest possible date. They recognize this may be overly optimistic, but are pleased, at least, that now that IMO has got the lead out, an HFO ban appears likely in short order.